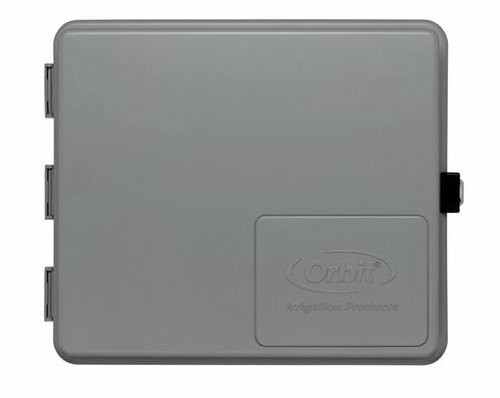 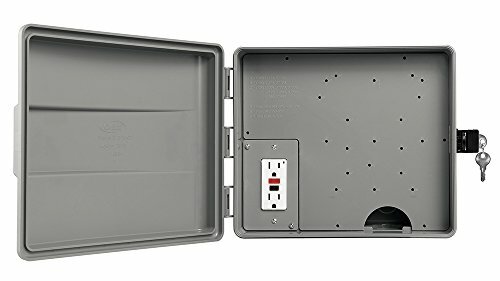 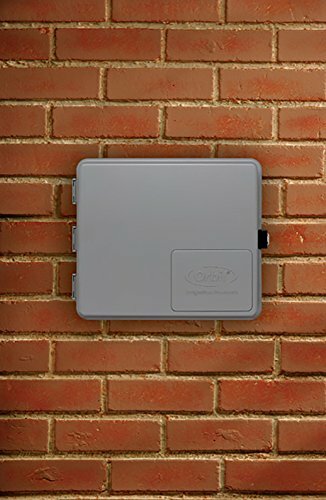 This Orbit 57095 outdoor mounted control timer cabinet holds an indoor sprinkler timer to safeguard it from rigid weather conditions. 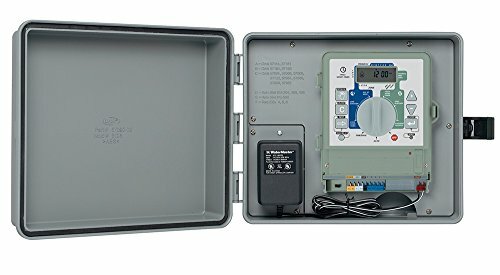 This protective cabinet works with any major brand of automatic water timer and is made of durable, UV- and weather-resistant ABS resin. 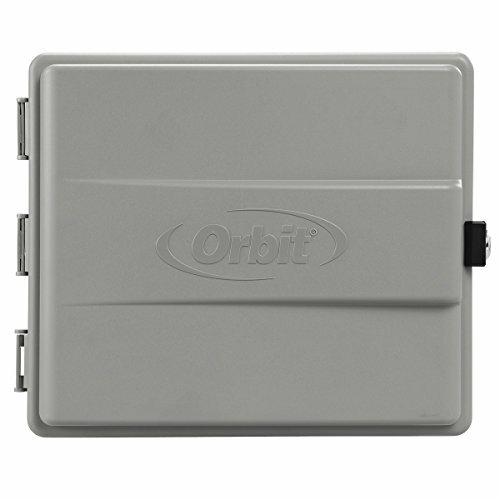 The Orbit 57095 offers a key-accessible lock that prevents theft and tampering as well as a GFI outlet that reduces electric shock risk. Features and Benefits: Makes indoor irrigation controller safe for outdoor use, Fits any major brand of sprinkler timer, Features a GFI receptacle for shock reduction, Features keyed lock for safe housing, Made of solid construction that protects any major brand sprinkler controller from harsh weather, Has large interior dimensions to house many sizes of indoor timers: 9.25 in x 10.75 in x 3.25 in.